I was thinking about Eric Ambler the other day. More particularly, I was musing on the fate of “forgotten writers” in general. For those who don’t know, Ambler was a best-selling writer of political thrillers in the late 1930s and early 1940s, his signature works including The Mask of Dimitrios (1939) and Journey into Fear (1940). 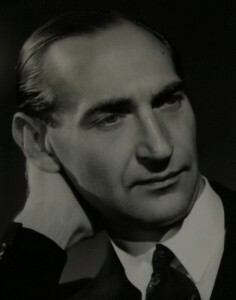 But there was then an eleven-year gap in his fiction output after the latter title and despite the merits of some of his later works—I’m especially fond of Judgment on Deltchev (1951) and The Schirmer Inheritance (1953)—he never fully succeeded in regaining the high standing he had previously enjoyed. There are a great many similarities between Ambler and Nigel Balchin: they were born within a year of each other; both came from humble backgrounds; both were highly intelligent schoolboys who received good educations by virtue of scholarships; both succeeded at “real jobs” of a scientific/technical nature before becoming full-time writers; both worked in advertising for a while; both enjoyed glittering careers in the British Army during World War Two; both toiled in Hollywood after the war, with very mixed results (Balchin wrote the first screenplay for the notorious 1962 Richard Burton/Elizabeth Taylor version of Cleopatra; Ambler wrote fourteen drafts of Mutiny on the Bounty, trying to make Marlon Brando’s part as important as Trevor Howard’s, before giving it up as a bad job); both became tax exiles as a consequence of their lucrative scriptwriting exploits; and, sadly, the centenaries of both men’s births passed without undue ceremony in 2008 (Balchin) and 2009 (Ambler). Why do writers as good as Balchin and Ambler “fall through the cracks” so that they become virtually invisible to later generations of readers? I always find it hard to put my finger on any one reason when asked this question. But I think the principal explanation must be that both novelists have been pigeonholed as representative of a specific decade: the 1930s in Ambler’s case; the 1940s for Balchin. Although they did produce their best books in those decades they also wrote impressive novels at other points in their careers and have been undeservedly entombed in the 1930s and 1940s. They perhaps didn’t help themselves by penning some inferior works towards the ends of their lives, making them easier to dismiss as writers whose heydays were a long way behind them when they died. It is my belief that film adaptations play an important role in immortalizing the reputations of certain novelists. Most of the movies developed from a Balchin source were critically acclaimed on first release but none of them lured filmgoers into cinema foyers in their droves. However, Nevil Shute (who, along with Balchin and Ambler, comprises a trio of “technocrat” writers) remains relatively well known in the twenty-first century because of the huge box-office success of A Town Like Alice. Cleopatra star Elizabeth Taylor (see page 1) once stayed the night with the Balchins at their villa near Florence in the early 1960s. Despite the fact that they were only renting the property, Nigel insisted on furnishing a pair of adjoining bedrooms that had been shut up by the owners and converting one of them into an en suite bathroom. All this effort and expense just so that Ms. Taylor could stay the night and have somewhere to wash that famously beautiful face of hers the following morning! I have yet to discover which literary committee determines which writers should be banished into the wilderness and which should remain in public view. Whoever these people are, they wield a lot of power and influence and they certainly make life difficult for those of us who are trying to repopularize novelists such as Nigel Balchin. And yet the situation could be worse: many of Balchin’s contemporaries were highly regarded in their time but are now so completely forgotten that not even a blind optimist like me would attempt to perform mouth-to-mouth resuscitation on their reputations. Anyone out there still reading Angela Thirkell, Peter de Polnay, David Footman, Storm Jameson or Gerald Kersh? No, thought not. A reissue of some of his finest novels, along the lines done recently for Ambler (Penguin Modern Classics) and Shute (Vintage). A range of influential advocates commenting in the media about their love of Balchin’s writing (such people have been keeping their own counsel during the last few years). An engaging and authoritative biography! With regard to the last of these points, I have returned to the writing of my biography this autumn after a lengthy break; the halfway mark is now in sight and I intend to have the manuscript completed within the next six months. At present I am dispatching sample chapters to a range of carefully chosen literary agents as I attempt to get the book published; for a running commentary on this process, you can always follow me on Twitter (@nmbalchinbiog). Thanks for reading this newsletter: the next one will be distributed in February. The Sixth European Psychoanalytic Film Festival took place earlier this month in London. Of the eleven European films screened, only one was British: Nigel Balchin’s 1947 adaptation of his novel Mine Own Executioner. I wasn’t able to attend the screening myself but my spy in the audience tells me that the film went down very well with those members of the psycho-analytical community who gathered to watch it and that they found it to be a moving portrait of the patient/analyst relationship (which indeed it is). Although it is still aired occasionally on American television, to my knowledge the film has not been shown on British TV for a great many years. Interested parties can purchase a DVD copy from www.moviesunlimited.com; it’s well worth a viewing. The competition in the first issue of the Nigel Balchin Newsletter attracted a small (but select) entry. Contestants had to say, in no more than 500 words, what their favourite Balchin novel was (and why). Runner-up was Guy Savage, with a thought-provoking piece centring on the moral dilemma at the heart of Balchin’s 1951 novel A Way Through the Wood. Excellent as this essay was, Guy just lost out in the final reckoning to George Thomas from Australia. George’s entry, which you can read on the following page, concerned The Fall of the Sparrow, Balchin’s 1955 roman-fleuve about the lovable but infuriating Jason Pellew, one of the best characters in the whole of Balchin’s fiction. In an engaging manner (and with clever use of quotation), George really succeeded in bringing the novel to life and reading his piece reminded me that I haven’t read The Fall of the Sparrow myself for several years and really ought to take it down off my bookshelf one of these days. Despite having been very favourably reviewed when it first came out, The Fall of the Sparrow has tended to be overlooked when modern-day critics have re-examined Balchin’s work in favour of what one might describe as the “Big Three”: Darkness Falls From the Air, The Small Back Room and Mine Own Executioner. But it’s a splendid book—one of my all-time favourites among Balchin’s novels—and I hope George’s eloquent encomium will encourage more of you to give it a try. It’s generally quite an easy one to find in second-hand bookshops or on the Internet so no excuses for not getting hold of a copy! Asked to name their favourite Nigel Balchin novel, most readers would probably find it hard to go past The Small Back Room, which is justifiably his most popular. While I too find it hard not to choose The Small Back Room, nevertheless I have a particular affection for The Fall of the Sparrow. Typically for a Balchin novel, we are drawn into the story from the very first words: “If I had kept to my original plan I should have missed the whole affair. But the weather was vile and the river in spate, so I came back a week early …” Our attention is immediately directed to important things that have happened, are happening, and are about to happen; and as always with Balchin, his prose has that sense of urgency and economy reminiscent of a witness statement. Unusually for a Balchin novel though, this one covers a long period, about thirty years, and its main character is not the narrator, Henry Payne, but his friend, Jason Pellew. And Pellew, unlike Balchin’s narrators, is not a rational, practical man, but an erratic fellow whose life lurches from crisis to crisis. Also unusually for a Balchin novel, children play a large part; and while the main woman character, Leah Garland, like most of Balchin’s women, causes trouble, she is more forceful and less neurotic than most. But the aspect that appeals to me most is the subtle complexity of the two main characters. Henry, one of those rational, practical Balchin men, though he feels pity sometimes verging on contempt for the wayward Jason, nevertheless comes to feel that Jason is in important ways his superior: Jason stands up against the anti-Semitic fascist demonstrations in London, goes off to fight in the Spanish Civil War, and serves in the Second World War with such distinction that he is decorated for heroism, while Henry has a desk job (“a chairborne assistant to airborne forces”). And Henry feels that there must always have been more he could have done for Jason, that somehow he has always let Jason down (although in fact he has done a lot for him). Jason, on the other hand, always looks up to Henry and admires him for qualities that Jason wishes he possessed. As always the minor characters shine (including the typical Balchin touch of a man whose pipe is “a foul old thing with a broken stem bound together with copper wire”, and the irritating Laidlaw: “It was always a lot easier to be sorry for Laidlaw when he had gone than when one was talking to him”), there are some wonderful sardonically-observed scenes of officialdom in action, and the various effects of the war on the people in England are superbly depicted. So while I might feel that I am betraying my favourite Balchin character, Sammy Rice, The Fall of the Sparrow is—just—my favourite Balchin novel.